From the moment an offer is accepted, to the time the keys are picked up, we do all the paperwork. We have a dedicated team who specialise in acquisition & disposal of freeholds, and lease extensions for flats and houses. Our experienced affordable housing team will guide you through buying, selling or staircasing of a shared ownership home. We offer a prompt and efficient probate & estate administration service, to help make the experience less stressful for you. Making a Will is so important; we ensure that your affairs are handled professionally by our private client team. 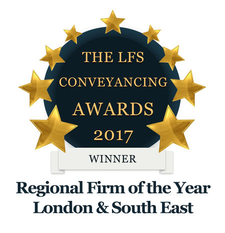 Cook Taylor Woodhouse is one of south east London and Kent’s most successful independently owned firms of solicitors. We are pleased to confirm that we have moved our Dartford office to larger premises. Our new address is:- First Floor St Johns House 37- 41 Spital Street Dartford Kent DA1 2DR Our email addresses, telephone and fax numbers, remain the same. 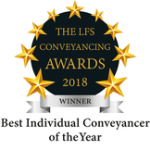 We are pleased to have had another successful year at the LFS Conveyancing Awards; this time by one of our Conveyancers winning the Best Individual Conveyancer of the Year Award. It is a well deserved award and an indication of our staff’s continuous dedication and hard work.